We've seen the make-shift "fake news" list created by a leftist feminist professor. 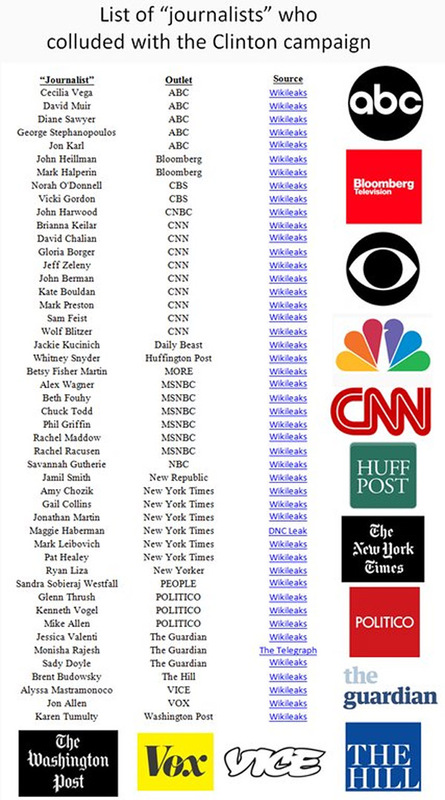 Well, another fake news list has been revealed and this one holds a lot more water. This list contains the culprits who told us that Iraq had weapons of mass destruction and lied us into multiple bogus wars. These are the news sources that told us "if you like your doctor, you can keep your doctor." They told us that Hillary Clinton had a 98% of winning the election. They tell us in a never-ending loop that "The economy is in great shape!" Nationalism is on the rise around the world with Brexit, the election of Donald Trump in the U.S., and the possible election of Marine Le Pen in France. In response, globalists are now playing the blame game, and the Internet is in their crosshairs. Ron Paul discusses on today's edition of Myth-Busters. IQDCalls.com does not necessarily agree, disagree or endorse the contents of the calls and videos posted on our site. WARNING! Take it all with a "Grain of Salt" and only buy what you can afford to LOSE. IQDCalls.com assumes no responsibility for information on the calls and disclaims all liability in respect of such information. We are only a guide for the Dinar scheduled and recorded calls.